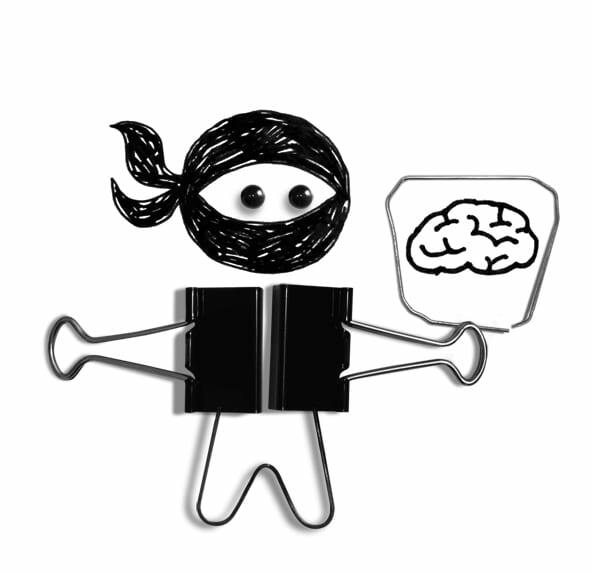 A Productivity Ninja is not a superhero. None of us have superhero brains, either. We also know – usually from our own painful experience – that we’re all too capable of forgetting important things, making bad decisions because we’re swamped with other things to think about or just not finding the time to focus on the important stuff. It’s time to change all that. We’re going to use the CORD model and the Organise and Review habits in particular here to develop a ‘second brain’. Your second brain is designed to replace your real brain when it comes to memory (our woeful short-term memory is a major driver of stress and unproductive behaviour). Your second brain is also designed to support the good decision-making – intelligence and intuition – that our real brain is really good at already, but which we perhaps aren’t currently using to its full potential or aren’t as able to do unless we’re in periods of proactive attention. What Does a Second Brain Look Like? A series of questions to help support good decision-making and force the clarity that reduces your stress; Checklists and a routine to support regular review – both daily and weekly – of everything held in the second brain. The CORD model describes the four distinct elements of knowledge work. These are the four things that always need to happen to add value or impact to any single piece of information. It’s a model that you can use both to think about how you manage your personal workflow and also how you structure your days and weeks to remain as agile and adaptable as possible to whatever comes your way. It also gives you the confidence to know that whatever you’re working on is the best possible thing you can be doing at any given moment. The CORD model’s four phases also provide the structure to separate thinking from doing in our work. Organise and Review are where the thinking happens, where the psychological heavy lifting takes place. So the Capture and the Do habits are to help you to trust that the second brain has it all under control and will be doing that thinking in due course, so that you don’t have to worry about it right now. Your aim is to focus on developing a second brain that you trust. If you trust it, you’ll use it. If you use it, you’ll trust it. Without that trust, you’re putting time and attention into developing something that only serves as a distraction. For your real brain to relax, it needs to know that the second brain is taking care of all of those stressful decisions and things that need remembering. Trust in your productivity systems and practices tends to work in either positive or negative bursts of momentum: either you feel on top of everything, which feels great and means you’re even more likely to continue doing the things that keep you even more on top, or things have started to spiral out of control and you feel worse and worse, thinking that it’s all so difficult. Once you trust your second brain, what you’re left with is a profound feeling of Zen-like calm. You’re able to be present and in the moment: focused on the current thing you need to do, not worried by all the other possible things that you know you need to work on.